next to User l evel. What can be changed ? • Language of the software. • Look and feel of the software. 1. 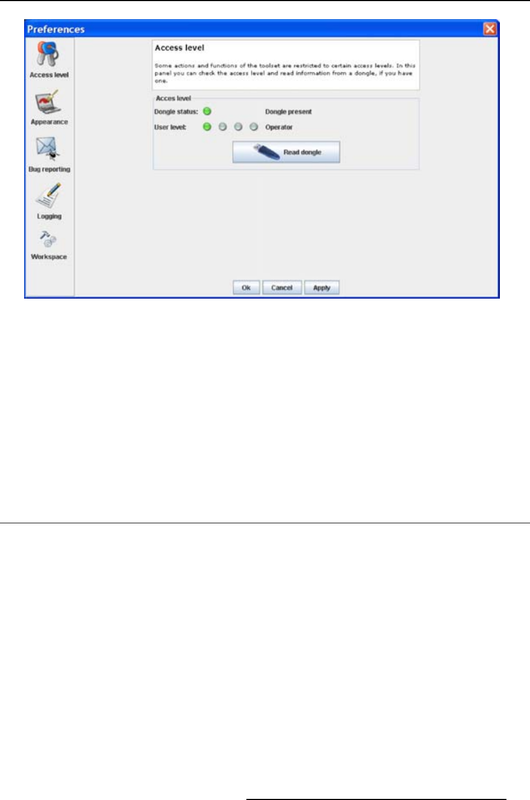 Click on Appearance (image 4-2). The possible languages will be displayed. 4. Click on Apply to conﬁrm the selection.